Grim Workshop created a real life ‘Get out of Jail Free’ card. 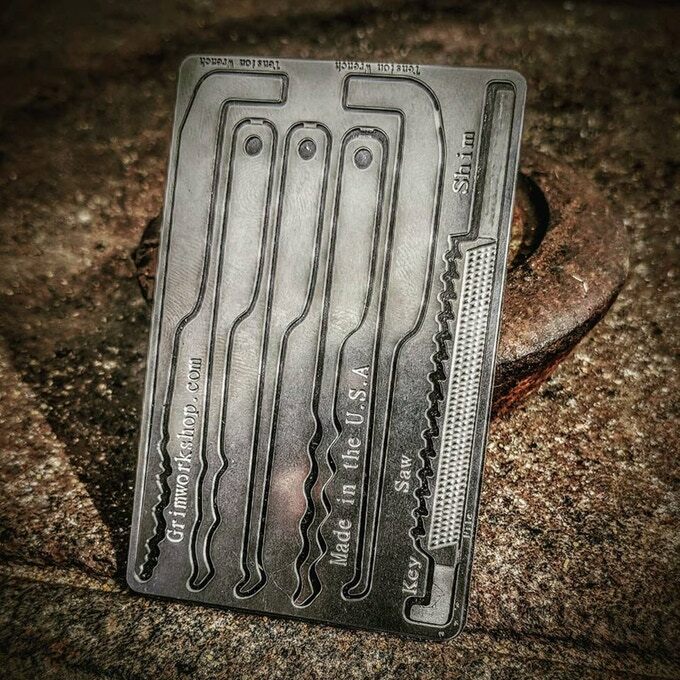 Their Grim Key Card is a stainless steel credit card that contains a set of lock picking and escape tools to help you out of any trapped situation. The Grim Key is already successfully funded on Kickstarter and set to ship in December 2018. The project also features two differently sized key tags containing lock-picks that you can choose to purchase.